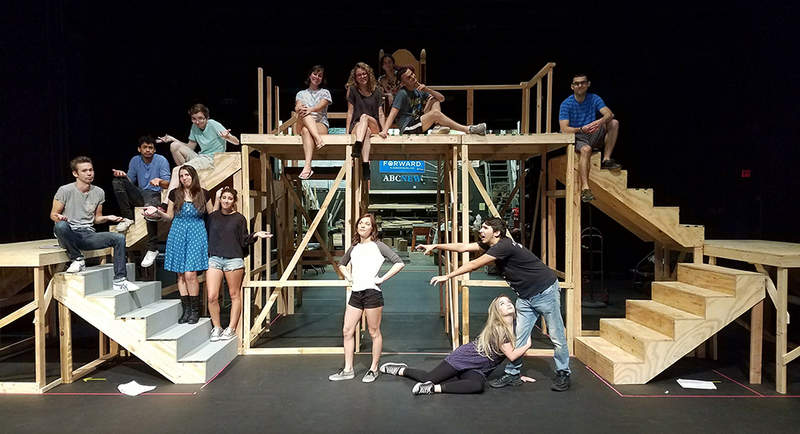 Palm Beach State College students will put their acting skills to the test in the Theatre Department’s first production of a William Shakespeare play in six years. More than 20 PBSC students, one of the largest casts in recent years, will perform “A Midsummer Night’s Dream” at 8 p.m. Oct. 18, 19, 20 and at 2 p.m. and 8 p.m. Oct 21 in the Duncan Theatre. Tickets are $5 for PBSC students, faculty and staff and $12 for regular admission. A free matinee performance will be held for PBSC students, faculty and staff at 2 p.m. Oct. 18 in the Duncan. A PBSC photo ID must be presented. The comedy portrays the events surrounding the marriage of Theseus, the Duke of Athens, to Hippolyta, the former queen of the Amazons. These include the adventures of four young Athenian lovers and a group of six amateur actors (the mechanicals) who are controlled and manipulated by the fairies who inhabit the forest in which most of the play is set. “I chose A Midsummer Night’s Dream because it offers the students a chance to explore some of Shakespeare’s most poetic language, due to the love aspect that we see throughout, plus it is a comedy which is always a lot of fun to explore in terms of performing with timing,” said PBSC Theatre Department Director David Hyland. The performance also includes a twist. For student Rebecca Andros, who plays “Helena,” one of the four young lovers, the role is particularly difficult. Students like Andros, who are enrolled in Palm Beach State’s theatre program, perform one play in the Fall and Spring semesters. “Typically, we choose larger cast sized plays for our fall production because it helps us to fill the stage better as we are using the Duncan Theatre, and it also provides more opportunities for new students to get involved in some capacity to see what our department is all about and what we are capable of accomplishing,” Hyland said. A Midsummer Night’s Dream was written in 1595/96. For more information on PBSC’s Theatre Department, visit www.palmbeachstate.edu/Programs/TheatreDept.